Check out this special holiday season deal from Professional Baseball Instruction. For a limited time, get five private workouts for just $249! That’s five 30-minute lessons with one of PBI’s top instructors for less than $50 a lesson. 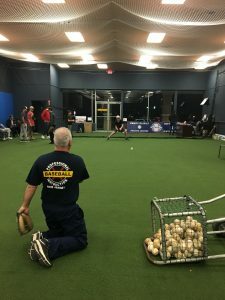 You’ll work with one of our instructors in our new indoor facility in the Ramsey Square Shopping Center (next to Staples) on the skill(s) of your choice – hitting, fielding, pitching, catching and more. This makes a great Hanukkah or Christmas gift! Don’t delay – this deal expires on 12/24/18. For complete details or to schedule your lessons, call us at 800-282-4638. Which days for the holiday training sessions? The dates are December 26, 27 and 28. If you have any questions, please feel free to call us at 800-282-4638. Anyone who answers will be able to assist you.